Godrej Azure is the latest joint residential development by Godrej Properties and SSPDL Group, offering a community lifestyle through its spacious land area offerings. Strategically located in Padur, South Chennai, Godrej Azure has everything one needs to have in order to lead a well-connected, comfortable life. Padur, the famous residential and commercial center of Chennai, is a fully developed locality surrounded by road networks that connect it with all the prime locations of the city. The location advantage Southern Chennai offers is enough to get the majority of Chennai property seekers crowd here. At the back of a developed infrastructure and a number of well-planned connectivity, Chennai has witnessed a significant rise in the price movement among all the four zones of the city. The developments that are planned for the city also continues to add to the city?s worth. What is the location of Godrej Azure?The location of the project is Padur, Chennai South. What size of flats are available in Godrej Azure? The apartment sizes in the project vary from 608.0 sqft to 1916.0 sqft. What is total area of 1 bhk in Godrej Azure? 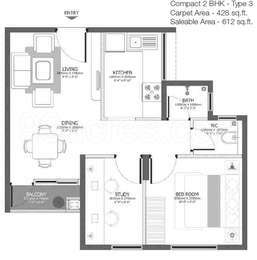 1 BHK unit in the project are available in an area of 608.0 sqft to 615.0 sqft. 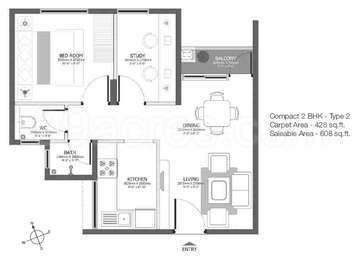 What is the area of 2 bhk in Godrej Azure?  The size of a 2BHK unit in the project ranges from 990.0 sqft to 1185.0 sqft. 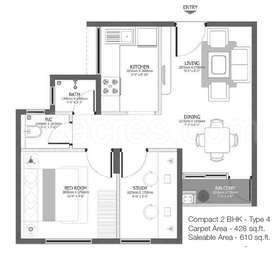 What is total area of 3 bhk in Godrej Azure? 3 BHK units in the project are available in a size of 1226.0 sqft to 1916.0 sqft. What is the area of Godrej Azure?The total area that the project occupies is 6.22 Acres. Beware of Godrej properties, buyers of Godrej Palmgrove have still not got possession of their apartments. Project was launched in 2012, handover was supposed to be June 2015, but Godrej is blaming government officials for delay. Also rental compensation (Rs 3 per sq.ft only) will be paid only after 34 months of latest approval (28 months 6 months grace period). Latest approval for Godrej Azure might be 2 years after launch..